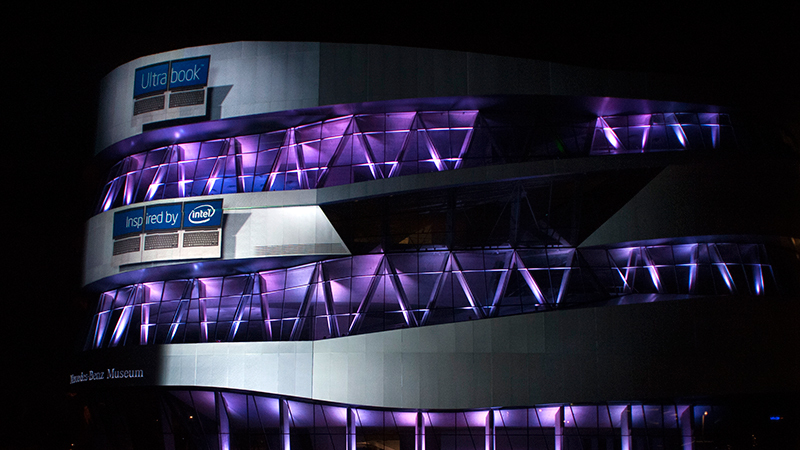 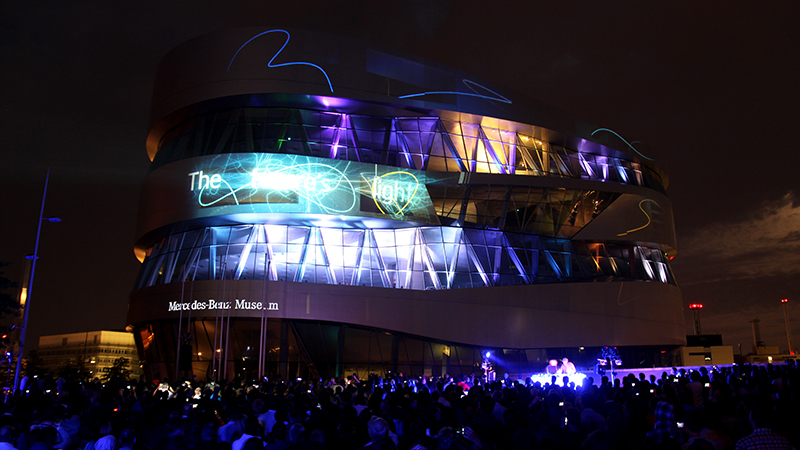 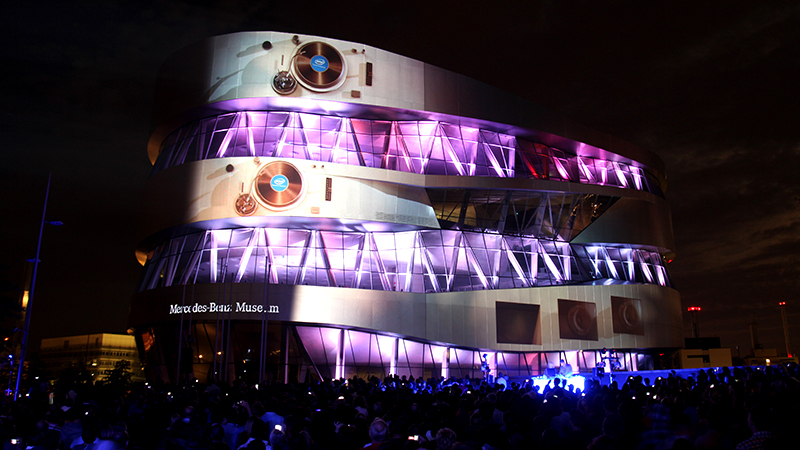 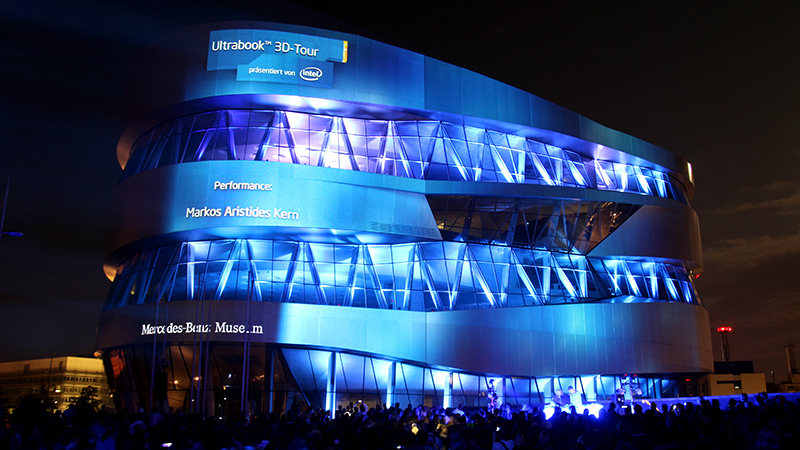 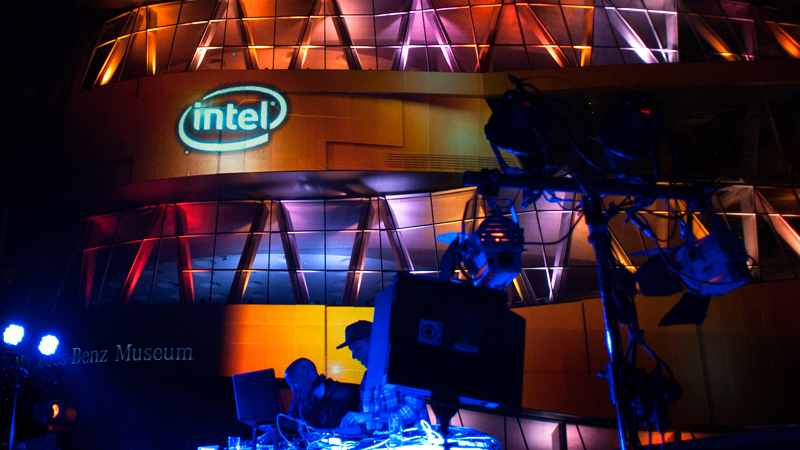 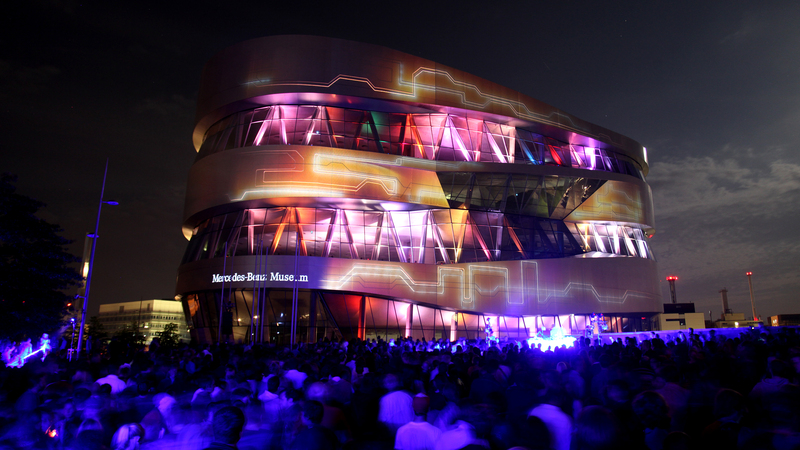 For the project Intel Ultrabook™ 3D Tour, Visual Drugstore created a show at the Mercedes Benz Museum Stuttgart for a live show of artist Markos Aristides Kern and the famous DJ duo Turntablerocker. 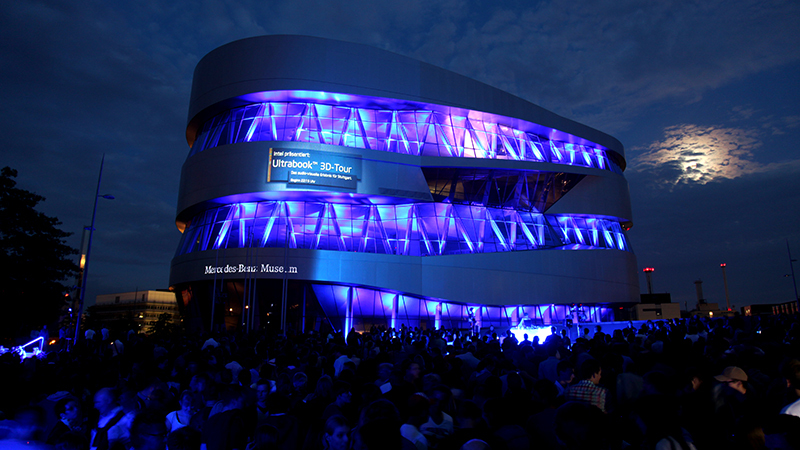 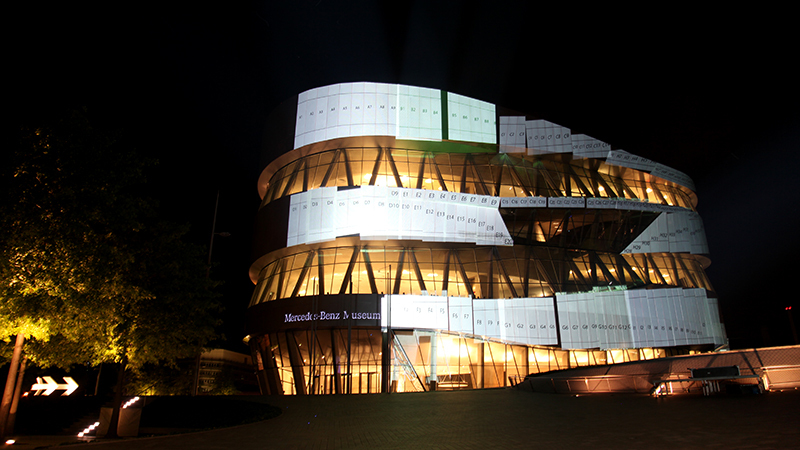 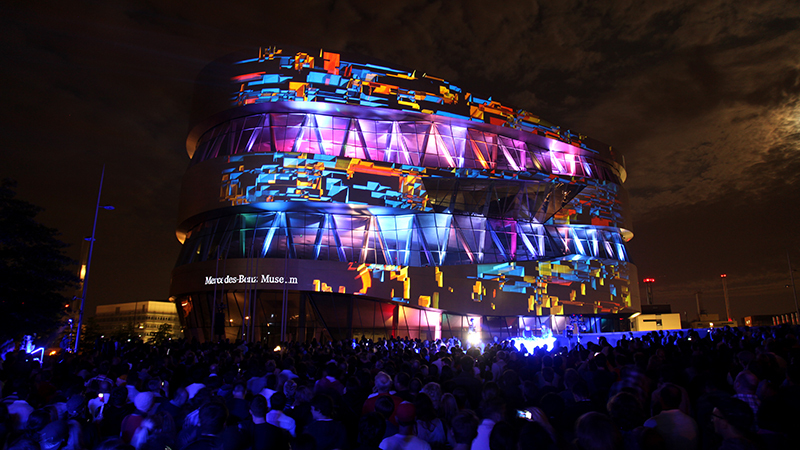 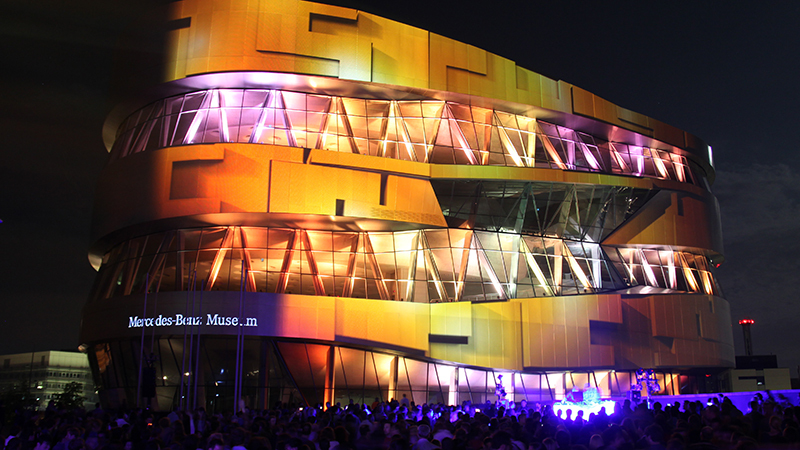 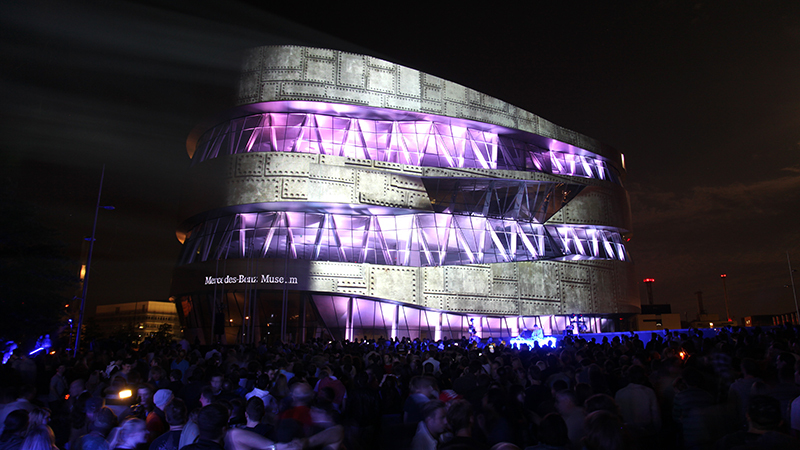 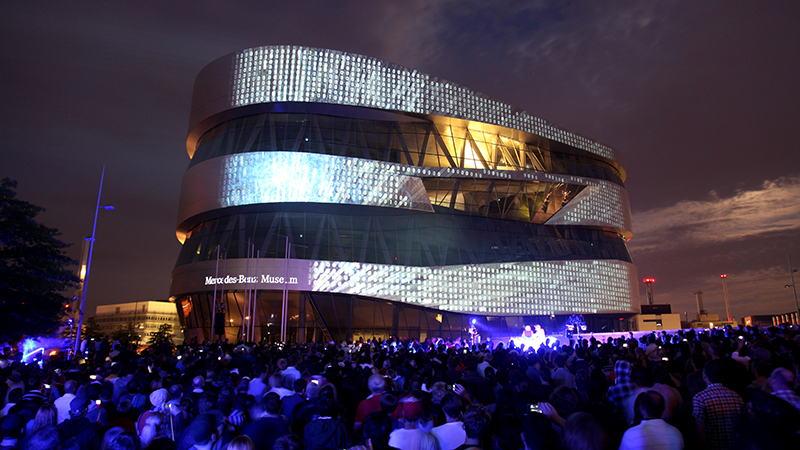 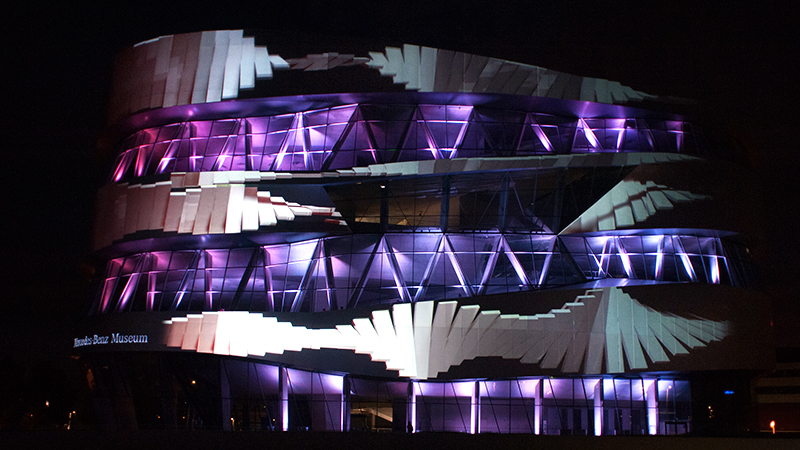 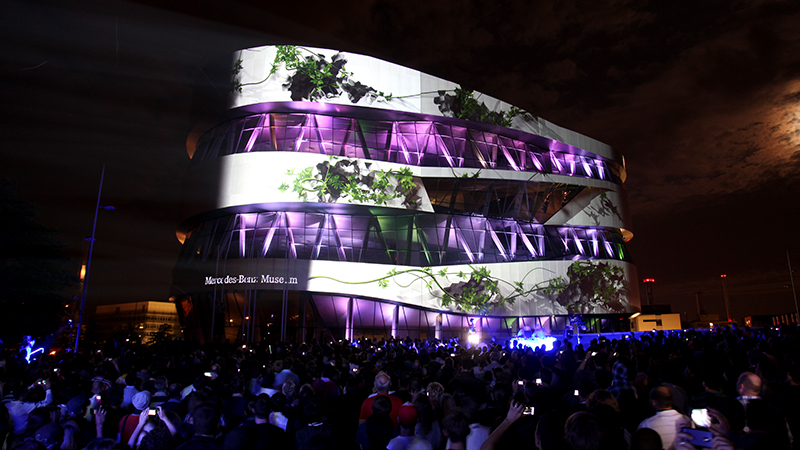 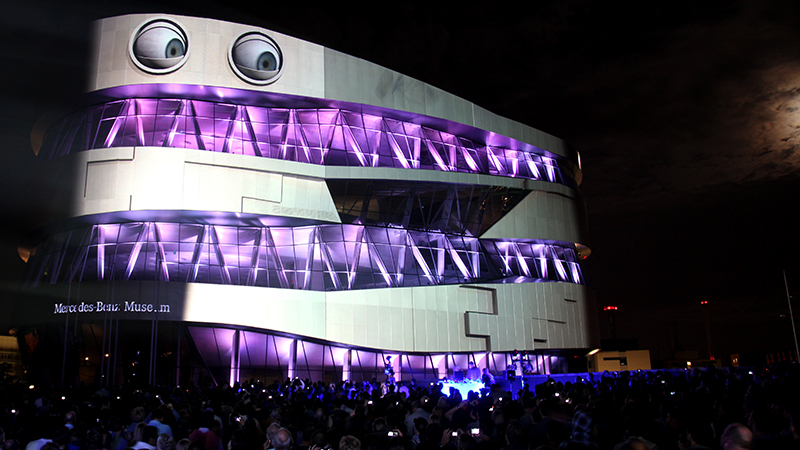 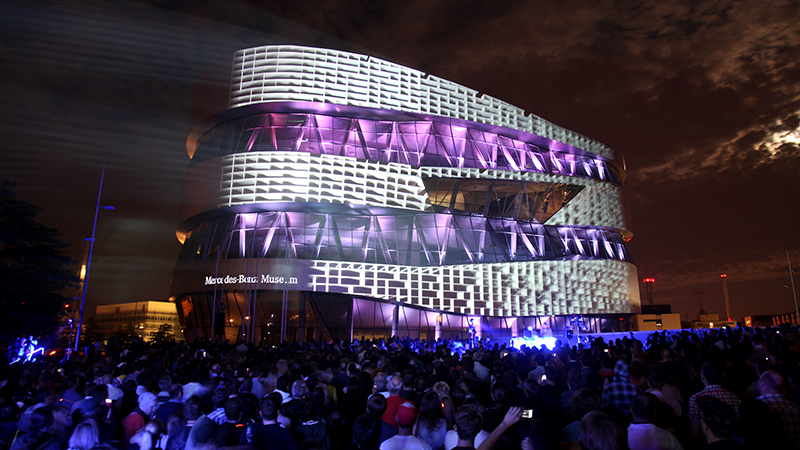 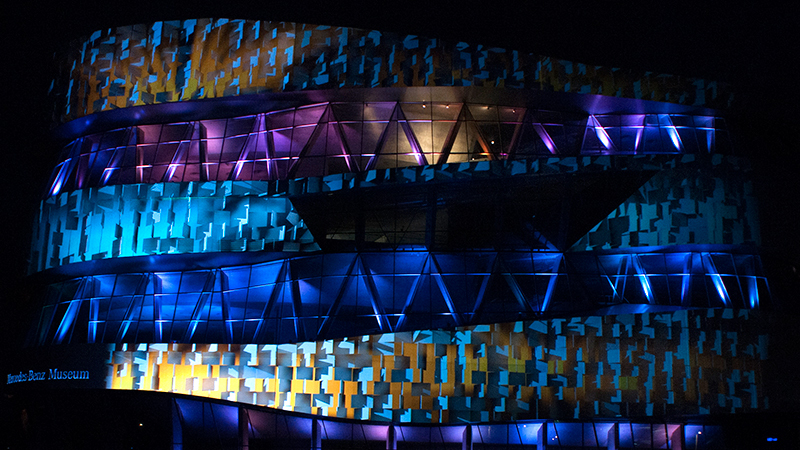 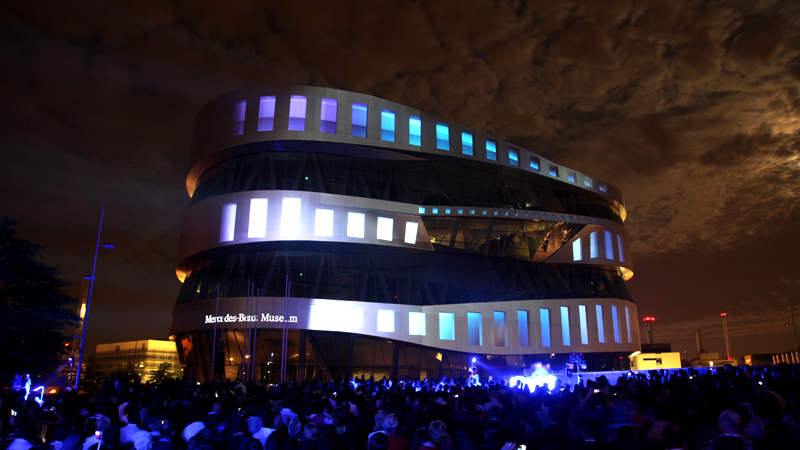 The round and organic shaped facade was a very challenging projection with 16 projectors. 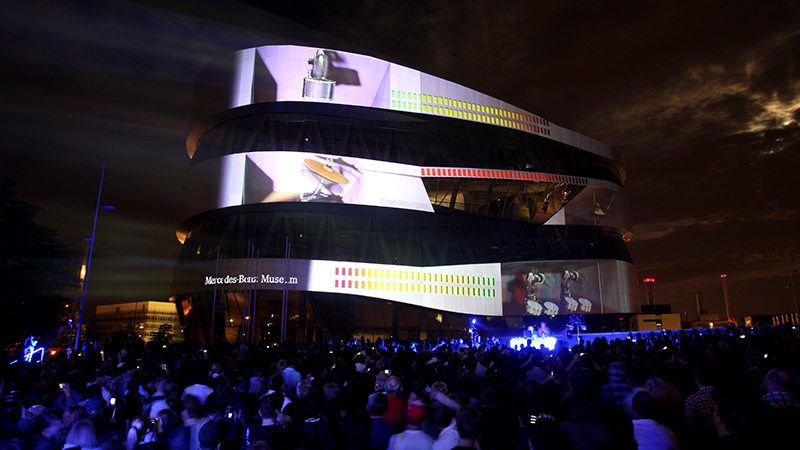 The mapping as well as the controlling of the show with a huge touchpad interface in real time was implemented with our own software.